Most Canadians saw their incomes climb over the past decade as the commodities sector boomed, according to new census results, but the rosy picture does not capture the oil downturn and masks weakness in the country's most populous provinces of Ontario and Quebec. The median income of individuals in Canada rose 12.7 per cent to $34,204 in 2015 from 2005, when adjusted for inflation. 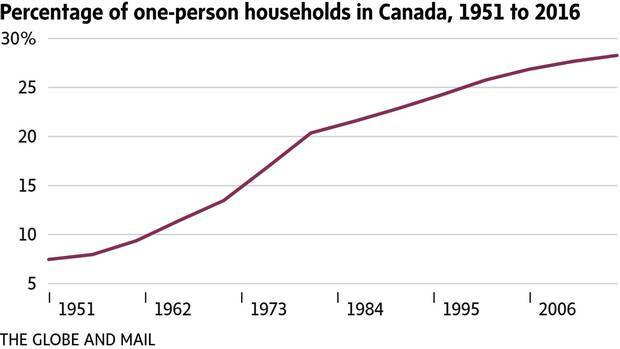 For households, the median income rose 10.8 per cent to $70,336 over the same time period. That is an acceleration from the prior decade's 9.2-per-cent growth and the 1.8-per-cent decline between 1985 and 1995. However, the gains were uneven. Ontario and Quebec saw the slowest increases, amid steep factory job losses. Meanwhile, the oil producers registered brisk increases – Saskatchewan leading the way with a 36.5-per-cent jump in the median income. "They are better over all than for the previous two decades for Canada," said Charles Beach, professor emeritus in economics at Queen's University. "The biggest thing that really hit me is the dramatic drop in individual incomes in Ontario," he said. The census showed the income gap between men and women narrowing over the 10 years. As well, more seniors are living in low income, while the share of young children living in poverty declined. As a result of these shifts, Ontario's low-income rate is now close to the national average. The Atlantic provinces still have the highest low-income rates in Canada. The income data are the fourth tranche of information from the 2016 census after releases this year on population, age, language and living arrangements. It's the first time the agency has linked income data from the Canada Revenue Agency to all census respondents. Canadians experienced sweeping economic changes in the 10-year period, with a 2008-09 recession followed by a commodities-led recovery and spike in the housing market, especially in urban areas such as Vancouver and Toronto, where average house prices nearly doubled in the decade. Because the census is based on 2015 incomes, it does not fully take into account the impact of the 2014-16 oil-price drop that slammed resource-dependent provinces such as Alberta and Newfoundland. The elimination of factory jobs in the manufacturing heartland of Ontario weighed heavily on the province. The median income increased 3.8 per cent – the slowest growth in the country – and workers' earnings actually fell by 2.3 per cent. "I don't think I have ever seen that before," Prof. Beach said. "It is quite consistent with the huge loss of manufacturing jobs." Ben Kolkman, a 34-year-old trained gerontologist, is an Ontarian who has not seen his income rise as quickly as the rest of the country. He earns about $2,000 a month at his full-time job as a facilitator at a brain-injury rehabilitation centre in Thunder Bay and recently had to pick up shifts at a local grocery chain. Mr. Kolkman says he probably could not survive solely on his full-time job. "I have a car and I am still paying down some debt so I guess I could try but it would be hard." He is engaged but lives alone. The bulk of his earnings are used to pay the rent, car insurance, debt repayments, cellphone and other expenses. "I want to get married eventually but there is no opportunity to save," he said. In areas where manufacturing was a major employer, such as Windsor and Tillsonburg in Ontario, the median income dropped over the decade. In contrast, the median individual income in Newfoundland and Labrador rose 37 per cent to $31,754 over the same period. In Saskatchewan, it increased 36 per cent to $38,299 and in Alberta it grew 25 per cent to $42,717. The fastest growth for individuals was in the oil-sands region of Wood Buffalo, Alta., where the median income rose 49 per cent. Since then, scores of high-paid natural-resources positions have been eliminated. The census release is notable for what it doesn't contain: the agency compared income trends in 2015 with the 2005 census, skipping over any comparison with the 2011 National Household Survey. That last release on 2011 incomes was controversial as a government-mandated switch to a voluntary survey resulted in lower response rates. Many researchers didn't use the data, citing it as unreliable. The release also didn't include demographics such as how incomes by ethnicity fared in the 10-year period, how education levels affected income trends or which occupations saw the strongest gains, details which will come later this fall. Nor did it include analysis on income inequality shifts in the past decade, or changes in the income distribution. Over the 10-year period, the median employment income for women increased by 11.6 per cent compared with 2.2 per cent for men. 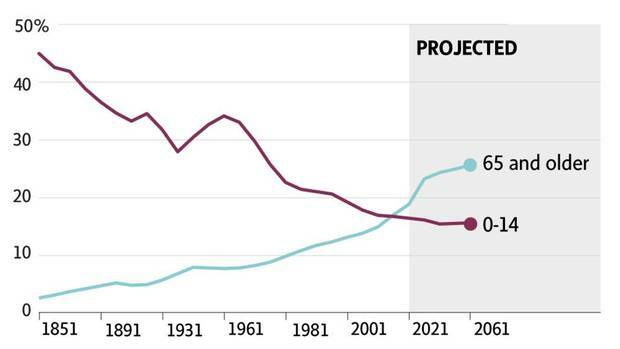 This disparity in income growth reflects the shrinking manufacturing sector, which was dominated by men, as well as the increase in women working in health care and education, fields with higher unionization rates. However, women continued to earn less than men. The median employment income for men was $39,836 in 2015 versus $28,474 for women. The income gap was smaller than in 2005, when the median employment income for men was $38,972 versus $25,507 for women. *For a one-person household, the after-tax low-income measure is $22,133. Canada's low-income rate was relatively unchanged at 14.2 per cent. The after-tax low-income measure counts a household as low income if it earns less than half of the median of households. As of 2015, the low-income threshold for someone living alone was $22,133. All told, 4.8 million people in Canada were considered as living in low income in 2015, compared with 4.3 million in 2005. Though the rate was little changed, the poverty shifted among regions and age groups. More seniors are living in low income, while the share of the youngest children in low-income households fell. The rate of seniors in low income climbed to 14.5 per cent from 12 per cent a decade ago. By province, low-income shares fell "sharply" in Newfoundland, as well as in Saskatchewan. In Ontario, it rose to 14.4 per cent from 12.9 per cent. More details on low-income trends by demographic groups will come in Statscan's November release. Children represent nearly a quarter of people in low-income in Canada, with 1.2 million kids under the age of 18 living in poorer households in 2015. Though the share of young kids under the age of 6 in low income has declined amid new benefit policies, overall the poverty rate among children under the age of 18 was virtually unchanged in the decade, at 17 per cent. "Even with a remarkable commodity boom and phenomenal economic growth in this window … we're not seeing enough growth in family income to lower child-poverty rates," said Armine Yalnizyan, economist and senior fellow at Massey College. Among cities, Windsor has the highest rate of children living in low-income households. Nearly one in four kids in the city lived in low income. By household type, single-mother families have the highest incidence of children in low-income, at 42 per cent. Two-parent families have a lower rate, at 11.2 per cent. And households with three or more children tend to have higher child-poverty rates. Tabitha Naismith, a single mom with two girls under the age of 6 says the cost of living in Surrey, B.C., has "skyrocketed." Ms. Naismith lives on disability payments of $837 and says her monthly payments haven't much changed in the past seven years. She puts a priority on expenditures for her daughters, which means she often goes without new clothes or new shoes, and has had to rely on food banks at times. Cities within the oil-producing provinces experienced the steepest increase in the number of people earning more than $100,000, which is considered in the top 10 per cent of all income earners. For example, in Saskatchewan, the number of these high-income earners more than tripled in North Battleford and Yorkton. In Bay Roberts, Nfld., and Okotoks, Alta., the number of individuals earning at least $100,000 nearly tripled. 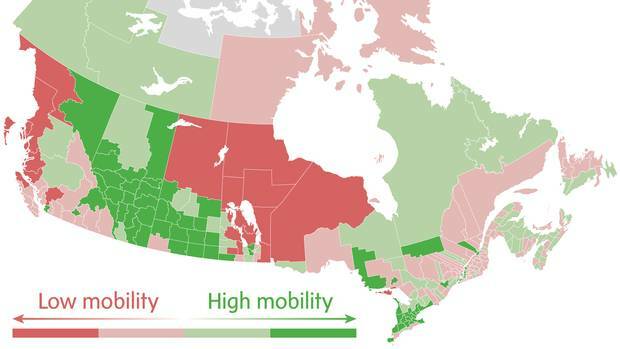 Toronto and Montreal continued to be the top two locations for high-income earners. But over the 10-year period, Calgary edged Vancouver out of the third spot. The Liberals came to power in 2015 with promises to bolster the middle class and reduce income inequality. They have introduced a Canada Child Benefit they say will reduce child poverty, and tax cuts aimed at middle-class households. Recently, to the ire of some, the Finance Minister proposed tax changes for private corporations, with the stated purpose of raising revenue from high-income earners. Small business groups say the changes will hurt professionals, like doctors, that incorporate themselves, and family run businesses, such as farms. This week's income release does not detail the degree to which top earners are setting up corporations. 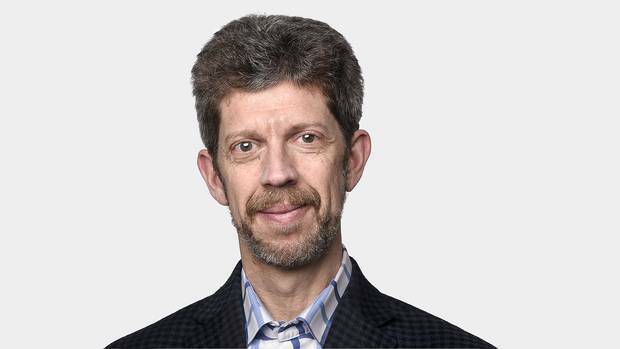 A tale of two Canadas: Where you grew up affects your income in adulthood A study of millions of Canadians’ income data reveals a country of opportunity, with most children out-earning their parents – but also a country pocked with mobility traps, Doug Saunders and Tom Cardoso explain. 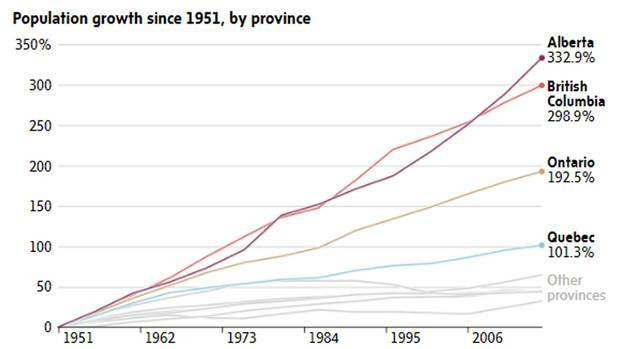 Population: Western provinces are the fastest-growing in Canada As of 2016’s census day, there were 35,151,728 people in Canada, and nearly one in three lived in the West. Age and gender: The growing generational gap and other key takeaways Statscan's May release painted a clearer picture of Canada's aging population and how they live. Families: More Canadians than ever living alone For the first time in the country's history, the number of one-person households surpassed all other types of living situations in 2016, Gloria Galloway explains.